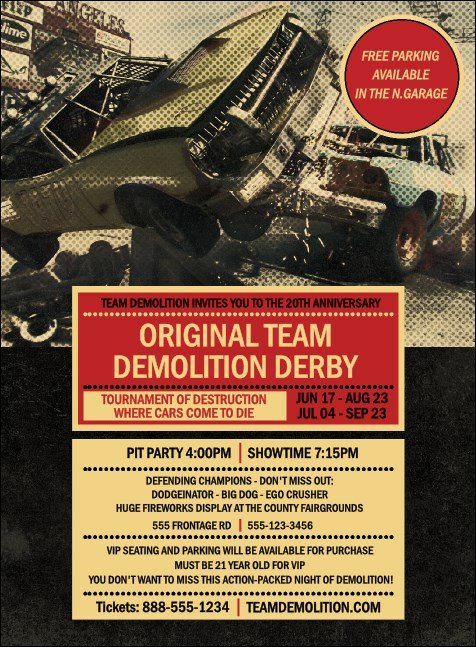 Keep your advertising engine running through the competition and drive up your ticket sales when you print Demolition Derby Invitations and send them out to your guest list in advance. With a cool, distressed theme that includes the image of two old cars ramming into each other, these Invitations will help make your event a slamming success! TicketPrinting.com helps you ride out the storm.